Cards, a photo by PhotoPuddle on Flickr. Tomorrow is the last day of term. Hooray! I have been counting down the days for the past couple of weeks. My daughter's first term at primary school has been amazing. She has achieved so much and I am really embracing my new role as a mum to a school girl. But I am also shattered and I can tell my little girl is too. I am now really looking forward to a couple of weeks of chilled out family time, including some quality mother and daughter time. 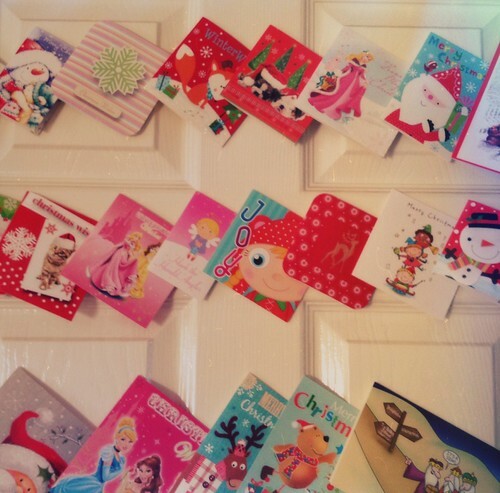 Here are some of my daughter's Christmas cards from school. She has a lot. More than the rest of the family I reckon - popular girl!